Recently, I learned that Marvel has again gone to Japan to have a new anime series written utilizing its heroes. So far, the prospective series is titled New Future Avengers. It will spotlight the Avengers Captain America, Iron Man, Thor, Hulk, and Wasp training children who have somehow acquired superpowers. I did not learn this through my usual sources, readers; they were rather lacking in details on the series. No, I learned this through a search in my WordPress Reader, discovering that someone had posted the handful of available particulars for Marvel fans to find on their blog. There was one thing the writer said which upset me. When he or she mentioned that the Wasp would be part of the show, the writer added “Finally!” to the sentence. Longtime readers might know that I like Marvel’s Wasp/Janet Van Dyne very much. 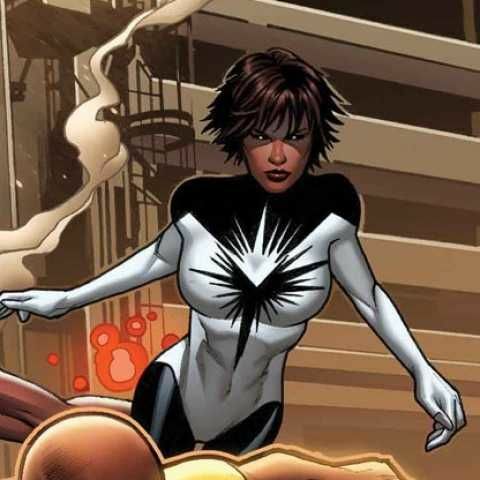 Her performance throughout Earth’s Mightiest Heroes was my first introduction to the character. She made me laugh, and I usually agreed with her when she threw out the zingers along with the sting blasts. When I watched DISK Wars three years ago, I was impressed with Wasp’s characterization in that series, along with the depictions of her fellow heroes. My impression of the series made it into the long-winded post Three Marvel TV Shows here at Thoughts on the Edge of Forever. To save you the time of looking that article up, let me add that after seeing this person’s post on New Future Avengers, I decided to go back and watch DISK Wars. I wanted to see if I had rated the show rightly three years ago. Some of the posts which this author has been reading about other, older Japanese anime series inspired me to go back to see how I would describe this series now that I am (hopefully) somewhat wiser than when I watched it first. About three episodes into the series, my nerves melted away as I remembered just how much fun the show is. Undoubtedly, most of this is due to the spot-on depiction for Cap, Iron Man, Thor, Hulk, Wasp, Spider-Man, and the other Marvel characters that appear in the story. 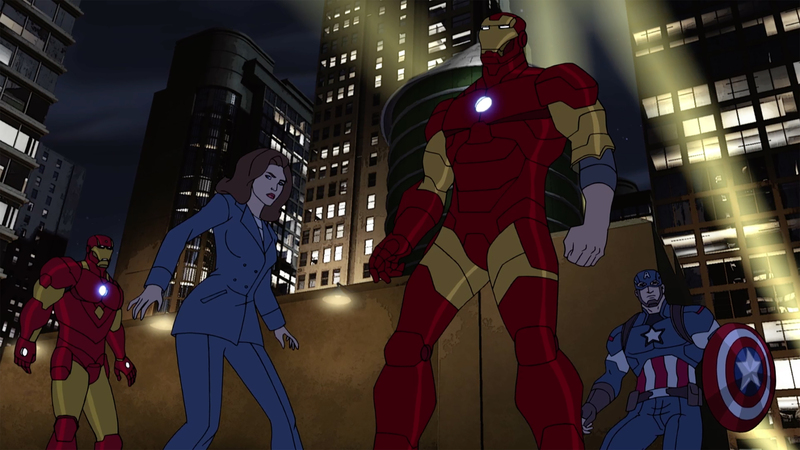 Some modern concessions were made in the series, of course; it is not entirely an homage to the original comics. Iron Man is much like Robert Downey Jr.’s Tony Stark, Fury resembles Samuel L. Jackson, and Hawkeye works for SHIELD. He is a little stiffer than I would like, but he is allowed to show some of his normal personality on occasion, so I let that slide. The villains also act in-character; while MODOK, Whirlwind, Diablo, and a few of the others behave in a sillier manner than we are accustomed to seeing here, the fact is that it is kind of hard to take a floating head with miniature arms and legs as seriously as you would the Red Skull. The Japanese writers’ decision to make MODOK act to the ridiculous degree that he appears is hardly an insult to fans, new or old, in this viewer’s opinion. And the thing is that this propensity for being outlandish does not make MODOK less dangerous. It just makes it more fun to watch him get thrashed. I mean, when was the last time we were allowed to have an absurd villain get beaten handily – not to mention outright laughed at while he was defeated? That actually used to happen in the original Marvel Comics. If you read Hawkeye’s first encounter with the Beatle, you will understand why I say this. It never hurts to hand the heroes a hilarious villain they can knock down without breaking a sweat. Sometimes, it really is that easy to win a battle with a bad guy – at least the first time around. The third clincher for the series is the children who end up partnered with the Avengers. 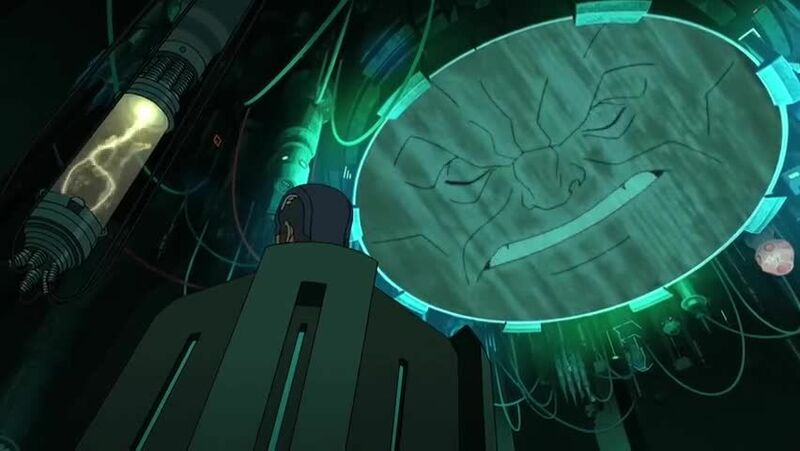 This bears some explaining; at the beginning of DISK Wars, we learn that Tony has developed a new type of super villain capturing device called a DISK. 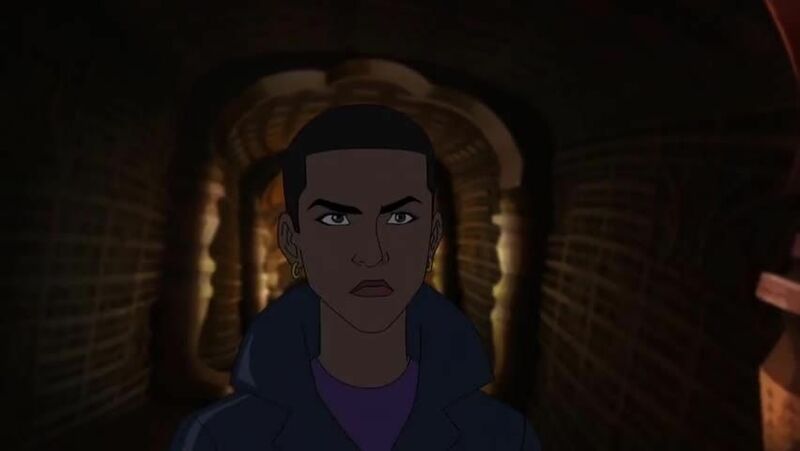 Using the DISKs, the authorities or the bad guys can digitally secure a villain – or a hero – in an alternate dimension where the subject doesn’t require food, sleep, or trips to the bathroom, as a friend who recently began watching the show pointed out. Now Tony does not develop the DISKs on his own. He has the help of a brilliant Japanese scientist, Dr. Akatsuki, who has two sons still living in Japan. Dr. Akatsuki is aiding Tony in designing and building the gizmos, which are the size of a wristwatch. His two boys are named Hikaru and Akira. Seeing how much he misses his sons, Tony decides to invite them to the presentation for the DISKs so their father can spend some time with them after being absent for two years. How can such a plan go wrong? Well, let’s see you hold a demonstration for a powerful new device at a maximum security super villain prison and see how things go for you. Uh, Loki could hire five celebrities and use them as his DISK-controlling minions, thereby freeing the villains from their cells so they could fight the heroes at the party? And he manages to have them export a few villains to the SHIELD Helicarrier, too, effectively hamstringing the agency so they cannot send the heroes the backup they desperately need. 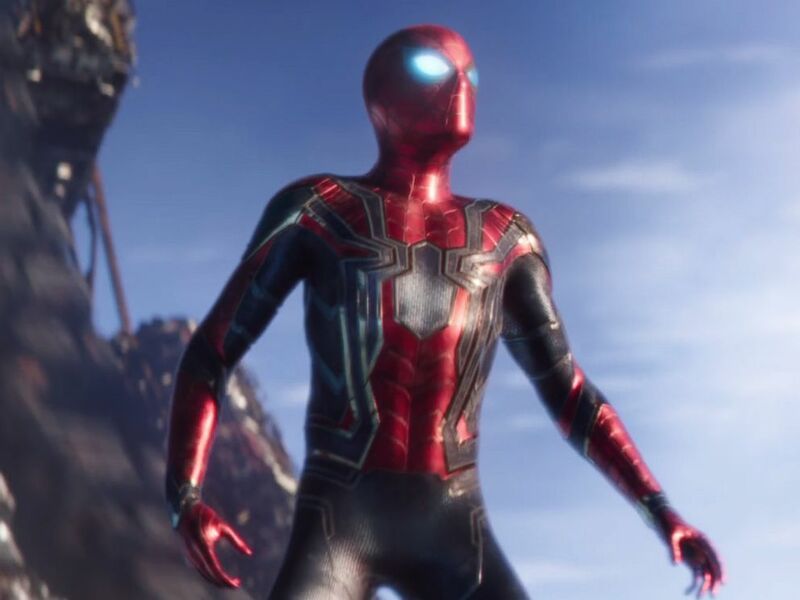 Yeah, no one would have seen something like this coming at all – especially not the stupendously brilliant Tony Stark. Finally, one of the villains ties up Pepper, forcing the assembled heroes to stand down or she will be killed. This allows Loki to entrap the heroes present at the Raft in DISKs. 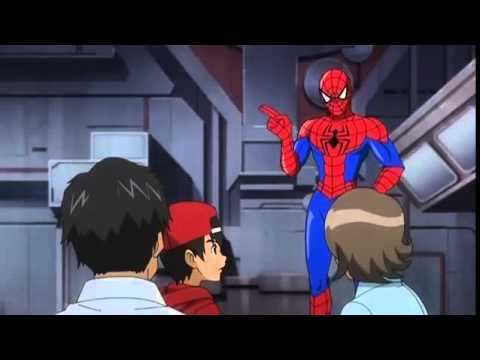 Spider-Man, whose alter ego Peter Parker has been Tony and Dr. Akatsuki’s lab assistant for the past two years, is the one hero in attendance who avoids getting locked in a DISK. Enter the kids. Turns out, the DISKs can only be controlled by a person who has had something called a “Biocode” installed in their body. 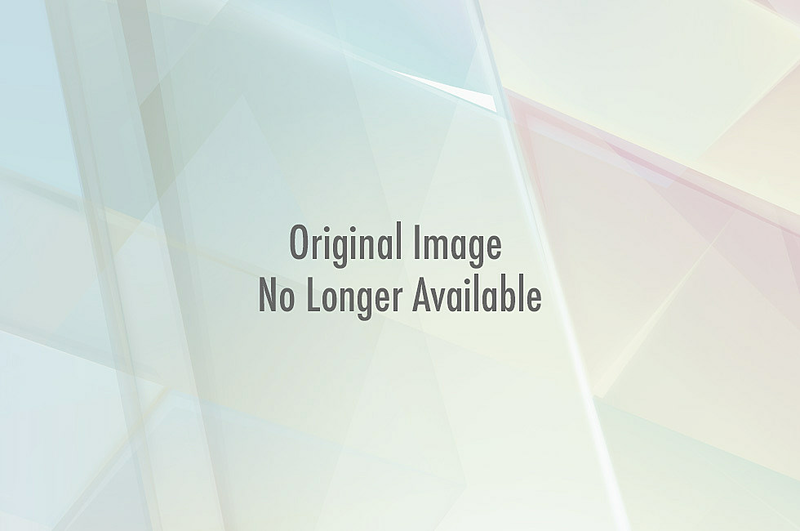 This Biocode allows the user to connect with one of the five classes of DISKs: Tech, Energy, Animal, Fight, and Power. Tech is obvious; a hero or villain who uses technology in his crime spree/hero work gets locked in a red or Tech DISK. A villain/hero with animal characteristics or an animal codename gets a yellow DISK, while one who uses martial arts and weapons’ training lands in a blue Fight Class DISK. The villain/hero that can produce energy gets put in a purple DISK. Power Class DISKs are for villains or heroes with enormous physical strength; this class of DISK is green. You can see where this is going, right? Tony, because of his armor, is part of the Tech Class. Cap is Fight Class since he relies on his martial arts and shield throwing skills in battle. Wasp gets an Animal Class DISK because her codename belongs to an animal; even though her stings are energy based, her moniker puts her under the animal label. 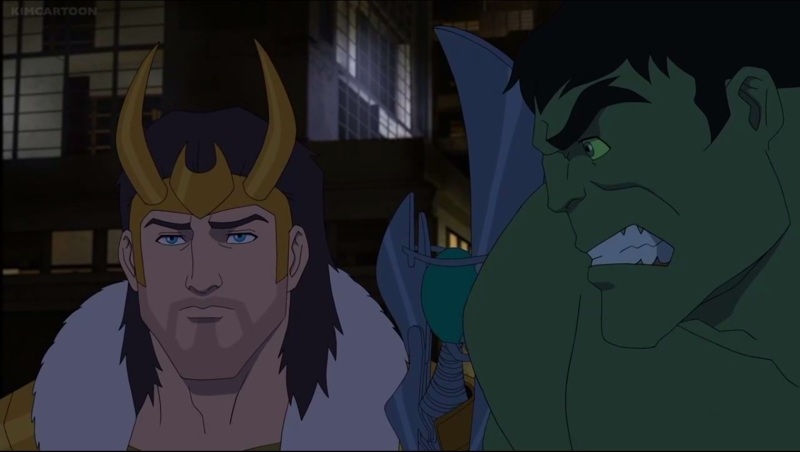 Hulk, clearly, qualifies for Power Class due to his enormous strength while Thor lands in Energy Class for the simple reason that he can generate lightning – a form of energy. The reason that Loki wanted Akira’s Installer destroyed is he does not want anyone he cannot control using a Biocode. And, since the Installer is damaged, he is somewhat successful in avoiding having direct challengers who can fully release the heroes trapped in the DISKs. Because their Biocodes are limited, the kids can release their Avenging partners for a maximum of five minutes. At the end of that time, the heroes instantly return to their DISKs. 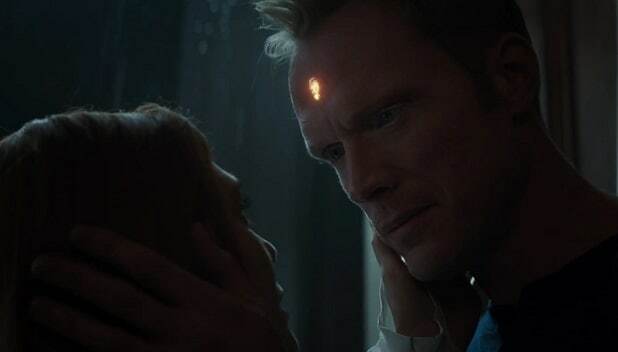 Though the children can speak to the Avengers using a holographic interface, which allows holographic miniature images of the heroes to interact with the real world, they have to wait up to six hours for their Biocodes to recharge before releasing their battle partners again. As you can guess, this causes no end of headaches for everyone concerned. Not only are the Avengers forced to haul three tweens and two teenagers into combat with them, they are entirely dependent on the children and Pepper for social interaction. When the World Security Council accuses Colonel Fury of conspiring with Loki, arrests him, and puts SHIELD on lock down, matters are further complicated for the team. Things go from bad to worse when they have to escape to Tokyo after said Council forces the U.S. president to register all superheroes living in America in order to keep them off the streets. If you are wondering why anyone would want to do this in such a crisis, ask yourself who has the most to gain by keeping the heroes and SHIELD out of his way. 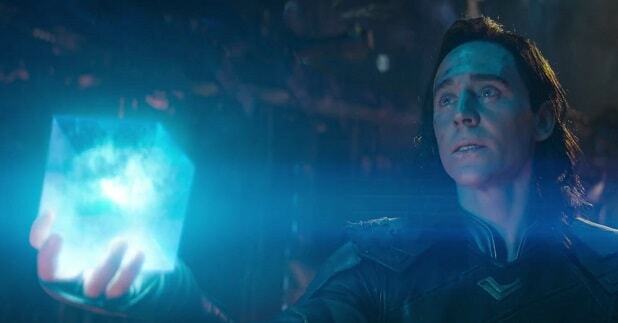 Yep, it’s Loki pulling the strings that force the Avengers to set up shop in Tokyo. They get away with this by striking a deal with the strongest and most dangerous villain in Japan; the Silver Samurai, head of one of the biggest Yakuza organizations in the Land of the Rising Sun. 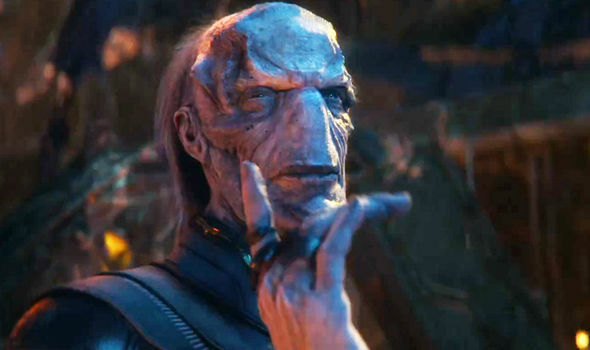 He owns more politicians and officials than Loki, and he is so feared that when he tells them to do or not do something, they listen. Even the powerful World Security Council cannot trump good old-fashioned Mafia connections – especially in Japan. While some may be put in mind of Pokémon by the Avengers’ forced residence in DISKs controlled by children, to me, that is a non-existent issue. I admit that it is a little odd and even hard to swallow. But come on, who among us has not wished to have a personal guardian angel we can call into plain sight for help? We all have one but most of us never get to see them in this life. More to the point, there are many themes in DISK Wars that make it well worth watching. Although not as pronounced as in Zoids: Chaotic Century, this series also hammers home the idea of fighting to reach one’s full potential, adding the caveat that you cannot steal it from someone else. You have to work for it because it is yours alone; only you can find it in battle with yourself, the world, and the villains who will challenge you throughout your life. The most prevalent theme in DISK Wars is that despair is not stronger than hope. 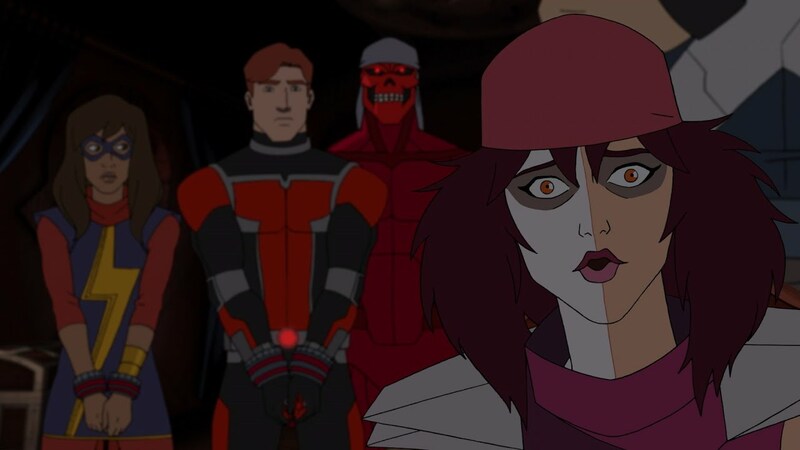 Loki and Red Skull, who takes over as the main villain in the series for five or ten episodes, say many times that they wish to see the heroes and children lose heart. These men hate the good guys’ optimism, their belief that circumstances can improve, even if the heroes themselves do not live to see things change for the better. It was a timely admonition three years ago and it is an apt reminder now: despair is one of the worst evils in the world, an evil which only hope can conquer. Cap gets a speech at the end of episode two that is not just in-character, it absolutely makes a viewer want to stand up and cheer as it emphasizes another theme in the series. At this point in the story, Loki has the heroes on their knees, held down by various villains they have fought and defeated many times over the years. 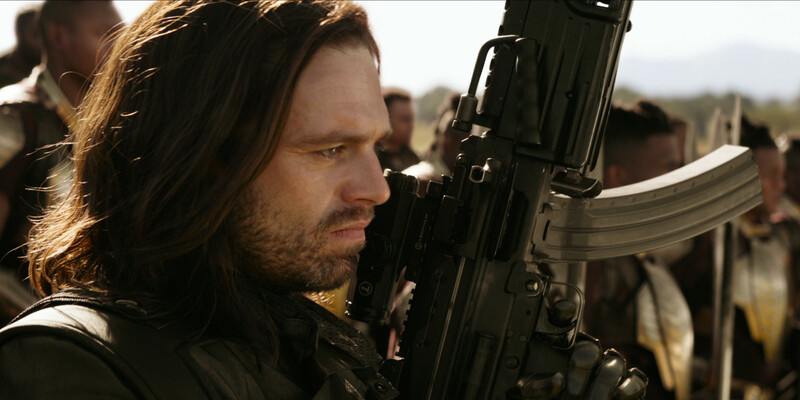 Noticing Steve’s defiant stare, he hits the First Avenger in the gut and taunts him by asking if it hurts. Admitting it does, Cap quickly adds that the physical pain will eventually fade, so it means nothing in the long run. Loki’s gleeful torment of the heroes, however, has hurt them all far worse. And that, Cap says, means that they or someone else will stop Loki at some point in the future. 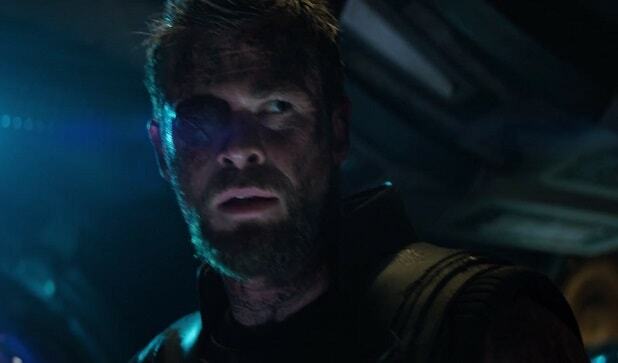 Mirroring his speech to Coulson on the Helicarrier in The Avengers, Loki asks who could possibly make him pay for his actions if the Avengers are all in DISKs. Cap promises that sooner or later those who believe in justice will rise up to fight and defeat Loki, although the heroes who inspire them may no longer be available to defend them. While he speaks, the five children who will receive partial Biocodes are already on their way to save Pepper so the heroes can fight back. It is a crescendo moment that does not lose its potency three years after a first viewing. If anything, it takes on a deeper meaning as time goes on. Finally, you have to enjoy the interplay between the Avengers and the kids, not to mention the familiar mannerisms and speeches of the Marvel heroes. 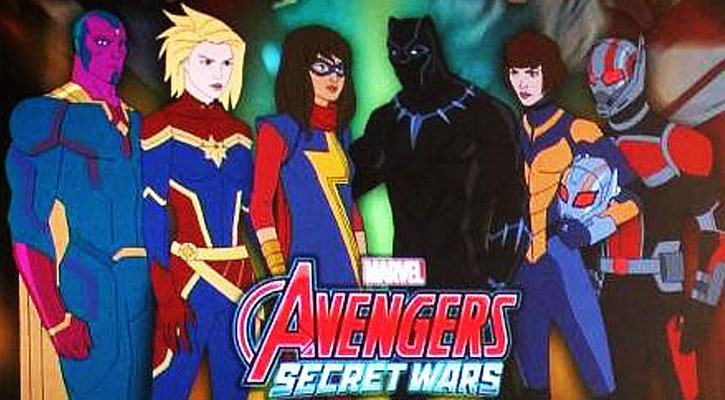 I do not know if New Future Avengers will be allowed to keep to the heroes’ original patterns, as DISK Wars did, and at the moment it really does not matter. New Future Avengers will be what it will be. DISK Wars is an entirely worthwhile series to watch – though I admit, I would not have put Deadpool in even one episode, let alone the two wherein he has a part. Despite this, however, the series does justice to its audience and its material, so I do not mind watching it. My biggest wish in regard to the story is that Marvel and Japan would send DISK Wars stateside. I do not see how the series could not take off here; it is almost as good quality as Zoids: Chaotic Century, and we know how much of a success THAT was in the States. The zoid models sold like crazy! Watching the show in Japanese is fun – I enjoy listening to the Japanese voice actors, although I would have no idea what they were saying ninety percent of the time without the subtitles. But subtitles are not for everyone, and that makes this show hard to share with others, which would not be the case if Marvel had it translated for the American market. They have already done this with a couple of other anime series based on Marvel characters. The short Japanese Iron Man series was condensed into a film, translated into English, and sold on DVD here in the United States. DISK Wars is too long for such condensing, but released as a serial on Cartoon Network or Disney XD – I think it would take off faster than some people might believe. But that will probably never happen. Or if it does, DISK Wars will bypass the television and go straight to DVD. Either way, do not knock the series until you try it, readers. It really is a good show. …Or should that be “D-Smash”? 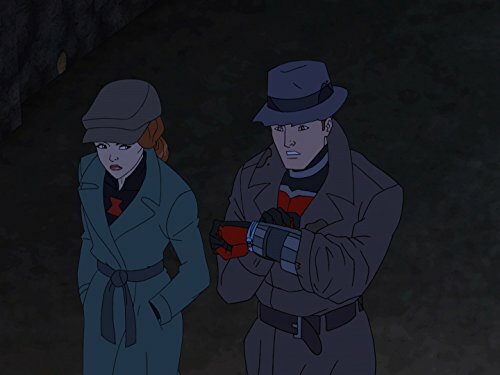 This entry was posted in Marvel Comics' Characters and Stories, TV Shows and tagged Akira Akatsuki, Avengers, Avengers Earths Mightiest Heroes, ディスク・ウォーズ：アベンジャーズ, Bandai, Black Widow/Natasha Romanoff, Captain America, Captain America/Steve Rogers, Celebrity Five, Chris Taylor, Digital Identity Securement Kit, DISKs, Disuku Wōzu: Abenjāzu, Dr. Nozomu Akatsuki, Ed Grant, Hawkeye/Clint Barton, Hikaru Akatsuki, Hulk/Bruce Banner, Iron Man/Tony Stark, Japan, Japanese Anime, Japanese cartoons, Jessica Shannon, King Ryū, Loki, Marvel Comics' Characters and Stories, Marvel Entertainment, Marvel's Avengers: DISK Wars, Marvel's DISK Wars: The Avengers, Masahiro Sugasawa, New Future Avengers, Nick Fury, Peter Parker/Spider-Man, Pokemon, Satoshi Ochiai, Scott Dolph, SHIELD, Silver Samurai, The Hulk, The Raft, Thor, Thor Odinson, Toei Animation, Toshiaki Komura, TV Shows, Walt Disney Japan, Wasp/Janet Van Dyne, Yakuza on October 20, 2017 by The Mithril Guardian.